We met Alan Jones at 5 Acre Nursery in Tal-y-Bont. 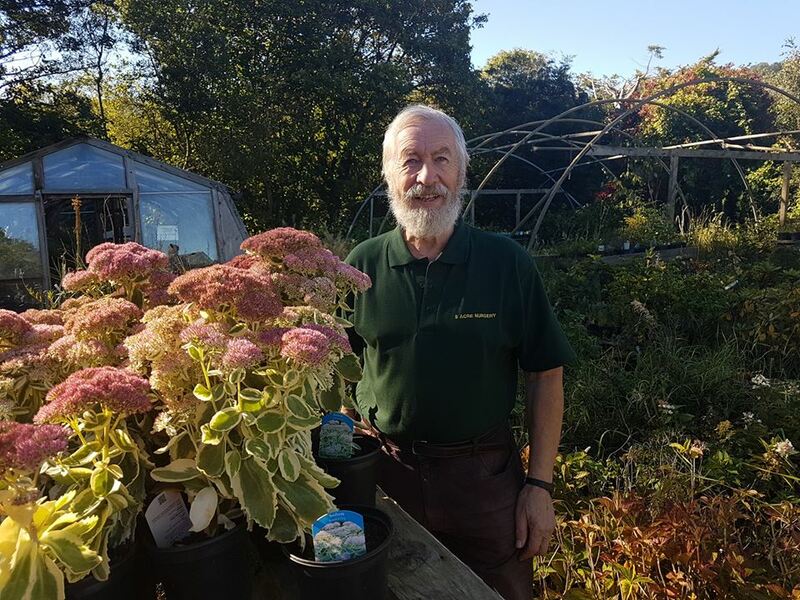 Alan, 69, has been running his nursery in the Conwy Valley for 10 years. At the nursery and market garden, Alan grows herbs, bedding, vegetables, and perennials and also has a selection of fruit trees, hanging baskets, and pots. As a sustainable business, Alan reuses his waste for compost and said his main line of business is plants, rather than vegetables. “This site used to be a market garden, which is why the fruit trees are here. When I first came, we grew tomatoes and cucumbers, but that is quite labour intensive. It takes time to grow. There is more trade in plants because you can grow them in a tray, and they take less space, too,” he said.